What is the nature of motives, goals, and desires that prompt consumption behaviours? Why do consumers buy and consume particular products, brands and services from the multitude of alternatives afforded by their environments? How do consumers think and feel about their cravings? 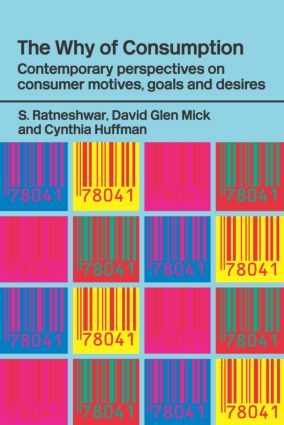 Unique in focus and with multifaceted approach which anyone interested in consumption and consumer research will find fascinating, this topical book provides an excellent overview of current research, and imparts key insights to illuminate the subject for both academics and practitioners alike. S. Ratneshwar is Associate Professor of Marketing ans Ackerman Scholar at the University of Connecticut. He is also the Director of the Doctoral Program in Business Administration at the University of Connecticut.